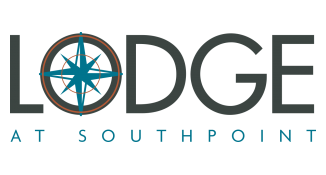 The Lodge at Southpoint is the location of choice for luxury apartments in Durham, North Carolina. From open one, two and three bedroom floorplans that give you more room for your money, to world-class amenities that add convenience to your life, our one-of-a-kind Durham apartments offer residents everything they are looking for in comfortable, modern living. Each apartment for rent features a garden tub, computer desk, full-size washer & dryer, kitchen pantry, Berber carpet, French doors and double bowl vanities in select rental homes. Complete with a clubhouse, resort-style pool, sand volleyball court, cardio fitness center, dog park, tot lot/playground and business center, you will love spending time on our beautiful, pet-friendly grounds. Our residents also enjoy a 5-hole putting green and mountain bike rentals. Perfectly situated near the Streets at Southpoint Mall, our community brings the best of the research triangle right to your door with easy access to I-40, which makes commuting a relative breeze. And if you're looking for a relaxing afternoon of recreation we're only a short trip away from the beautiful Carolina North Forest. If you're looking for some time on the links, the renowned Finley Golf Course is just ten minutes away. Durham apartment shoppers will love our great location near the Streets at Southpoint Mall and Chapel Hill, NC. Schedule a tour today and come home to the best Durham apartments, at The Lodge at Southpoint.